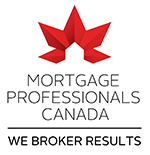 We take pleasure in keeping our clients and subscribers up to date with the latest mortgage news and trends. We regularly send out emails, while taking advantage of various social media sites in order to advise our customers and subscribers about products, services and fluctuations in mortgage interest rates that may be of interest to them. In order to help us serve you better, please take advantage of our marketing permissions tool that allows you to customize and manage the marketing communications you wish to receive from Di Nardo Financial. Please use this form for new subscription sign-up or update or unsubscribe to our mailing. Please provide your postal address if you are interested in receiving information by mail.